A view of Butler’s South Campus, now home to the College of Education. The College of Education has a new home on campus starting this semester. 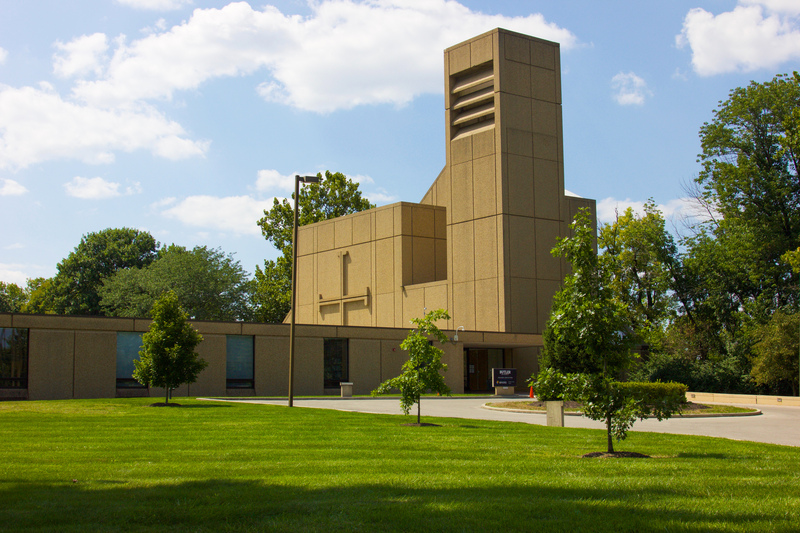 Previously located at the west end of Jordan Hall, the college has relocated to the Christian Theological Seminary on the south side of Butler’s campus. With students arriving in August, there was a scramble to finish construction on the new classrooms. The technology in the classrooms was put online just a few days before classes began. The majority of the new rooms are finished, with the exception of a few conference rooms. The new space includes classrooms, conference rooms, offices for professors, a cafe, a learning resource library specifically for education students, and a lab for science and integrated arts education classes. Classrooms also include video cameras, enabling students to record teaching sessions and then go back and evaluate themselves. Shelby Miller, a senior communication sciences and disorders major, said the updated technology in the new classrooms will allow education students to have more opportunities. “In the past years we’ve gone to North Central [High School] to tutor students in reading and their language classes, but now we’re bringing them here and we’re doing one-on-one tutoring,” Miller said. Angela Lupton, assistant dean in the College of Education, said the environment plays an important role in students’ educational experiences. Lupton, who teaches the senior seminar class for education majors, said having her class in Jordan Hall for the past fifteen years was a struggle when breaking students into groups or walking around the room to interact with students. Shelley’s office window was previously barricaded by a fence for 14 years. Now she sits just a few yards away from a courtyard of trees and a fountain. As for the distance between COE and Butler’s main campus, Shelley said the walk from the main campus to South Campus takes her about seven minutes and is around the same as her walk from main campus to the Health and Recreation Center.